Hats off to Wells Fargo for taking a position which protects themselves and their clients against fraud losses…even if there are bumps along the way. Sometimes risk mitigation has a price in terms of review processes, funds availability or customer service for a select few. 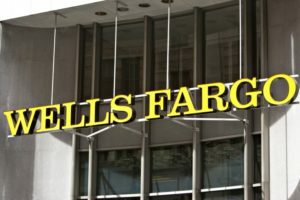 In an effort to protect itself and clients in light of the amendments to Federal Reserve Regulation CC — Wells Fargo Bank had their app advise customers that the restrictive indorsement/endorsement “For mobile deposit to Wells Fargo Bank only” should be added to checks being deposited via mobile. That was just one of several frustrations vented on social media as a subset of Wells Fargo account holders found themselves unable to make deposits via their mobile app, with no access to a local branch. Ironically, in detailing the amendment that went into effect July 1st, an example for the restrictive endorsement reading “for mobile deposit to” the RDC bank was specified. So, Wells Fargo wasn’t experimenting with new language. We believe that banks do receive strong risk protection with accepting “For Mobile Deposit Only” and allowing the use of the mobile check box as well. However, the market is going to dictate the path to best protection and least customer resistance. Here’s Lexology’s view. Any restrictive endorsement for mobile deposits will probably cause some issues — that’s just the cycle of “technological adoption.” What consumers don’t want, though, is another feature which rejects check deposits, as today’s success rates still vary between 65-90%, based on the parameters of the financial institution. However, do not despair…new technologies are now upon us! Successful Restrictive Endorsement Validation using AI and Deep Learning to distinguish wording, layouts, and location can achieve positive confirmation rates in the mid 90’s! The challenge, at least initially, will be in managing potential social media storms initiated by customer frustration. Isn’t that marketing’s job? So the challenges can now be overcome! On the positive side, Wells has an opportunity to educate their clients as to why restrictive indorsements are highly beneficial by protecting against accidental duplicates and how they help prevent fraud! Well done Wells! Be sure to check out RemoteDepositCapture.com’s Guide to Restrictive Indorsements, available to purchase at their website.